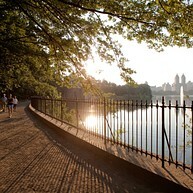 Provided by: Julienne Schaer/NYC & Company, Inc. Opening hours: The subway runs 24 hours. Retail stores are open all week from 10am to 6pm or later. Most bars and clubs close at around 2am-4am. This iconic 843-acre park was planned to give New Yorkers a respite from the hustle and bustle of the big city, and the designers did such a good job that when relaxing on one of the huge lawns, or picnicking by a lake, or strolling along its miles of biking and walking paths, it's often hard to believe you're right in the middle of Manhattan. The park also contains world-class museums and hosts countless activities and concerts, especially in the summer months. Known informally as the "Whitney", this outstanding institution is devoted to the art of the United States. A full range of twentieth-century and contemporary American art is presented here, and with 21,000 works by 3,000 artists (such as Andy Warhol), you can easily spend a few hours inside. Paintings, sculptures, drawings, videos, photography and new media are all here to be enjoyed. 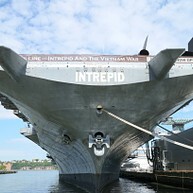 The floating museum housed inside a nearly 300-meter-long USS Intrepid aircraft is a remarkable monument all in itself, but the exhibits contained inside are no less exhilarating. See the authentic space shuttle Enterprise, the legendary spy jet A-12 Blackbird, as well as the world's fastest commercial airplane. Right next to the Intrepid is the USS Growler strategic missile submarine - the only one of its kind open to public, with interactive games and simulators on board. 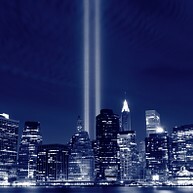 The 9/11 Tribute Center tells the devastating story of the tragic events that occurred in New York on September 11, 2001. Many of the volunteer guides who work at the Center were directly involved in the events - some lost family members, while others helped deal with the mortifying aftermath of the attacks. Hearing their first-hand narratives is an emotionally overwhelming experience that is made possible by the project of the September 11th Families Association. Visitors usually spend one full day at the Met, and that's a shame, because to truly appreciate everything this gigantic museum offers would take at least a week. 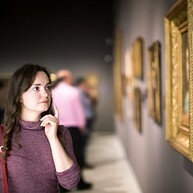 The museum’s permanent collection of some 2 million works includes masterpieces from history's greatest artists, as well as countless wonders from ancient civilizations, the Egyptian Temple of Dendur being, perhaps, the most notable example. Featuring one of the world's most comprehensive collections of modern art, including masterpieces by the likes of Picasso, Van Gogh, Warhol, Pollock, and many, many more, the MoMA is one of the most visited places in New York. Housed in this beautiful and modern building, floor after floor of painting, photography, design, sculpture, and more, it captivates visitors for hours on end. It is a wonder to behold this instantly recognizable building from street level, leaning your head so far back it hurts and feeling utterly insignificant in the shadow of the gargantuan skyscraper; the truly marvelous views are enjoyed from the observatories on the 86th and 102nd floors. 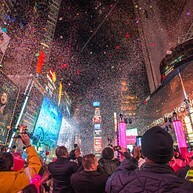 New Yorkers tend to religiously avoid Times Square, and proudly proclaim how much they hate it, but standing among the flashing signs, the larger-than-life billboards and the throngs of bustling tourists is an inimitable experience. Indeed, most people there are visitors to the city snapping pictures of all the excitement, but that's part of the fun of trying to take in the hectic and overwhelming intersection. 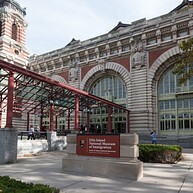 Immigrants arriving to the United States in the late 19th century via Ellis Island were treated to this immense statue, a representation of freedom and American ideals, as their first glimpse of the country. Though no longer shining in its original copper hue, visitors flock here for a closer look at one of New York's most enduring symbols. 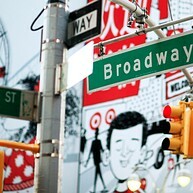 The selection of world-class musicals and performances available in New York's most famous theater strip is unparalleled in the world. If you’re willing to stand in line for up to an hour, you can get theater and musical tickets for 25-50% off the box office price for shows the same day. Just visit the TKTS office on Times Square. 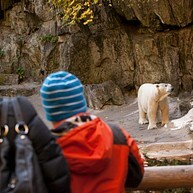 With over 650 different species, this 250-acre zoo, the largest metropolitan zoo in the United States, gives visitors the chance to admire and experience a huge variety of wildlife. Popular exhibits and sections include the Wild Asia Monorail safari, Congo Gorilla Forest, and of course, everything to do with big cats. This elevated park, built on a railway trestle that had been abandoned for 30 years, is a sliver of green that looks out onto the stark landscape of Manhattan’s west side. The renovation mimics the way nature had begun to overtake the park before it was saved from demolition by two friends who lived in the neighbourhood. Food vendors and small cafes have settled along the park, making the area one of the city's most pleasant for a stroll and a snack. Students from nearby New York University ensure that Washington Square Park is always alive with activity; this Greenwich Village park is also a favorite spot for street performers, chess players and musicians, making the people-watching here some of the city's most entertaining. 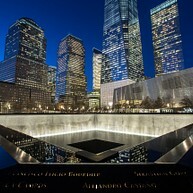 After years of debate, controversy and delay, the site of the former World Trade Center buildings has finally been converted into a beautiful memorial site and museum. The new One World Trade Center has also been erected, and at a significant 1,776 feet tall (1776 being the year American independence) is now the tallest building in the Western hemisphere. The summer months see crowds enjoying outdoor events as well as eating and shopping options, but this huge Art Deco complex really comes alive in winter, when the iconic ice-skating rink and enormous Christmas tree take center stage. Visitors also come to see, and sometimes take part in, the filming of any number of NBC television programs. A highlight here is the (somewhat expensive) trip to the Top of the Rock, from where the views of the city and Central Park are unmatched. 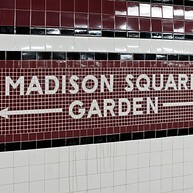 The Garden is the city’s premiere sports and entertainment complex, home to the New York Rangers, Knicks and Liberty teams, as well as the stage for massively popular musicians and artists when they come to New York. The more intimate WaMu Theater also hosts concerts, shows and stand-up comedians. For a behind-the-scenes view, take the Madison Square Garden All Access Tour.